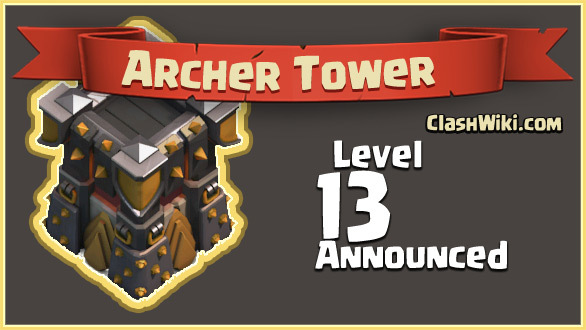 The archer tower level 13 is coming. This stands close to the barbarian and archer level 7 which are also announced. It will be released in the September update. We don’t know how it is gonna look yet. But we think it will be in the lava theme. We also are asking our self how the price will be. The archer tower level 12 costs 7.500.000 gold right now. We suspect the price for level 12 will drop.